(South) 1903 registered cover to New Zealand franked 1883-94 4d. violet, perf 13 and large 1902-04 3d. olive-green tied Wallaroo square circles, Adelaide transit backstamp and arrival cds. 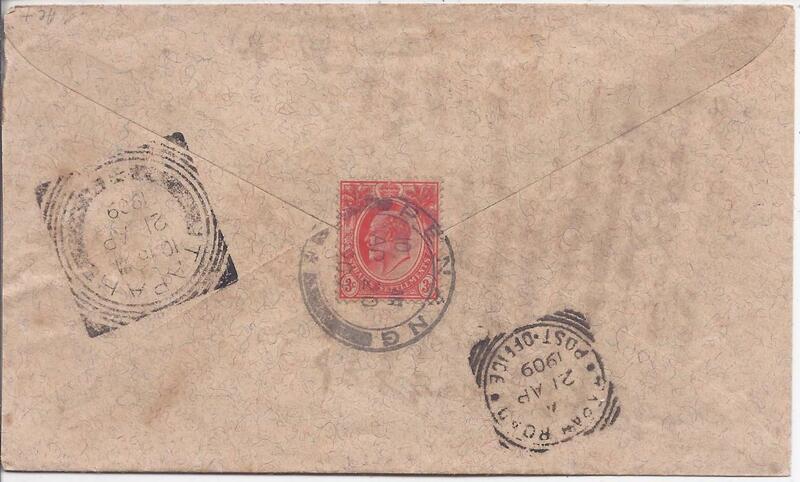 1886 cover to Bombay franked on reverse India 1a. 6p. 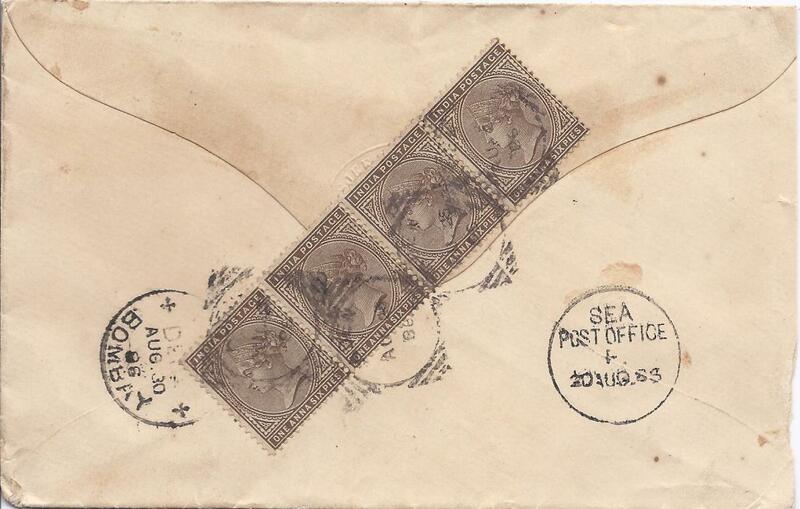 horizontal strip of four tied Aden square circles, envelope endorsed �pr Ravena�, reverse with SEA POST OFFICE index A cds and Bombay arrival. 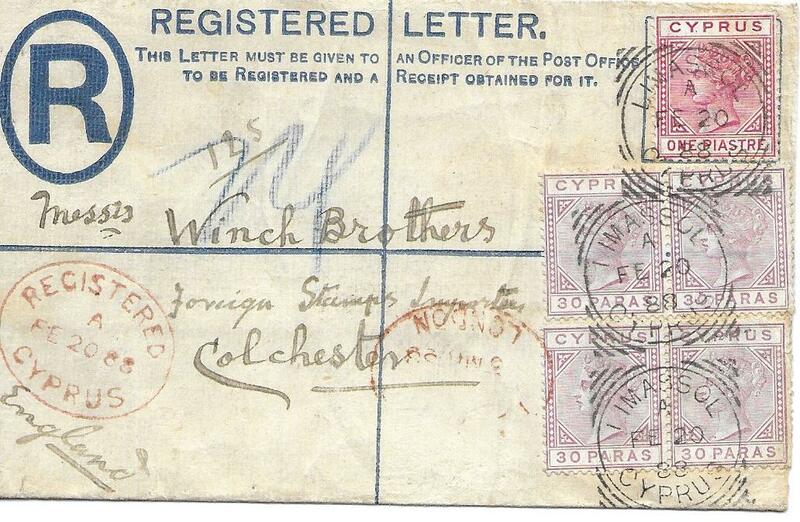 1888 (FE 20) Two piastres registered stationery envelope to Colchester, uprated two 30 para pairs and a 1pi. tied Limassol square circles, Registered Cyprus date stamp at left, London transit, reverse with Larnaca single circle cds and Colchester arrival. 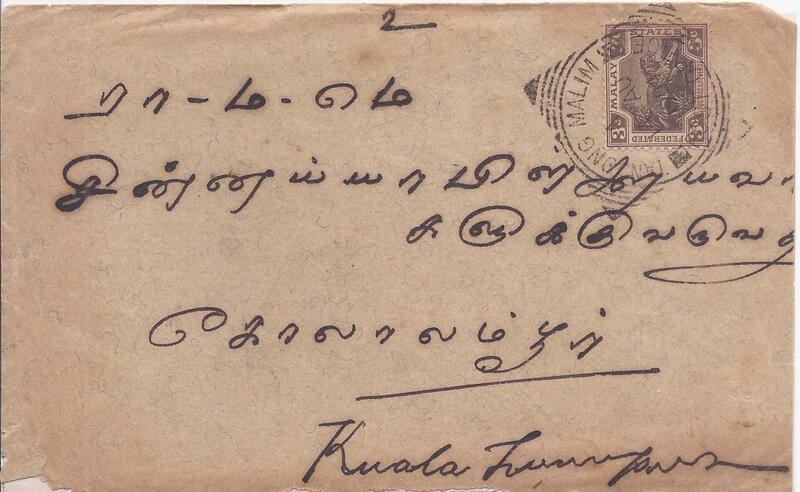 1895 (DE 31) cover from BUSHIRE to Cairo franked on reverse by India 1892-96 2a.6p. yellow-green tied by fine large part strike of type Z16 ("C14") "BUSHIRE" squared circle (still clearly showing "E" complete) with two strikes of boxed "TOO LATE" above (applied at the Bushire P.O.). Bold "SUEZ" (27 1 96) and "CAIRE" (28 1 96) transit and arrival cds alongside. Some cover creases but desirable with the "TOO LATE" marking. 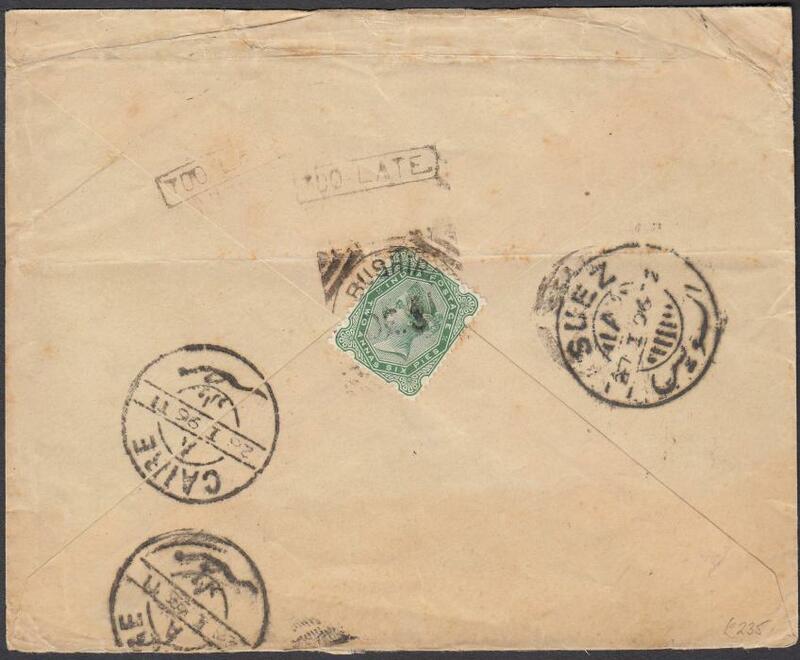 1896 envelope to Massaua, Eritrea, franked 20c. Umberto tied by TORINO squared circle date stamp. 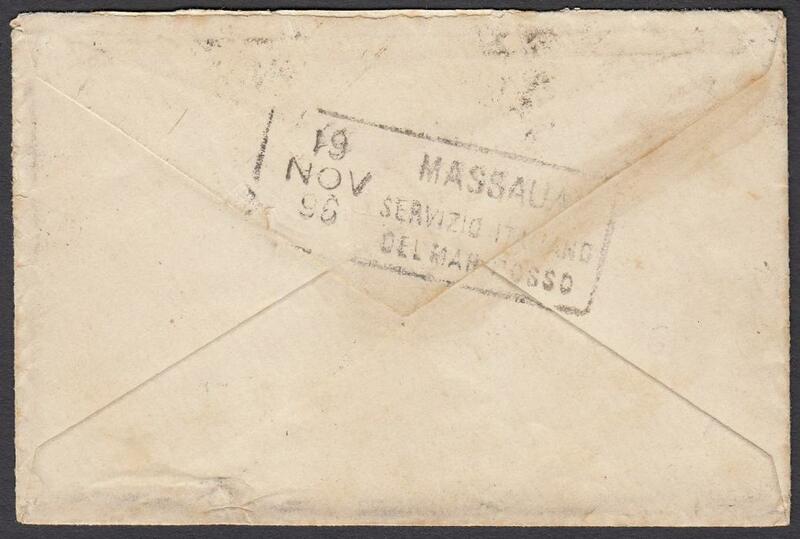 On reverse, boxed dated 'MASSAUA/SERVIZIO ITALIANO/DEL MAR ROSSO'. 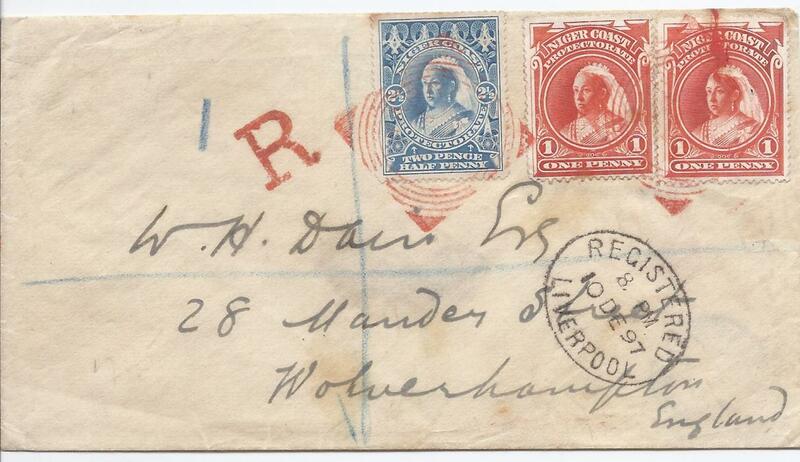 1897 (NO 12) registered cover to Wolverhampton franked 1d. (2) and 2�d. tied by red square circle Warri date stamp, �R� handstamp to left, oval Liverpool transit below, reverse with another fine despatch date stamp and arrival cds. 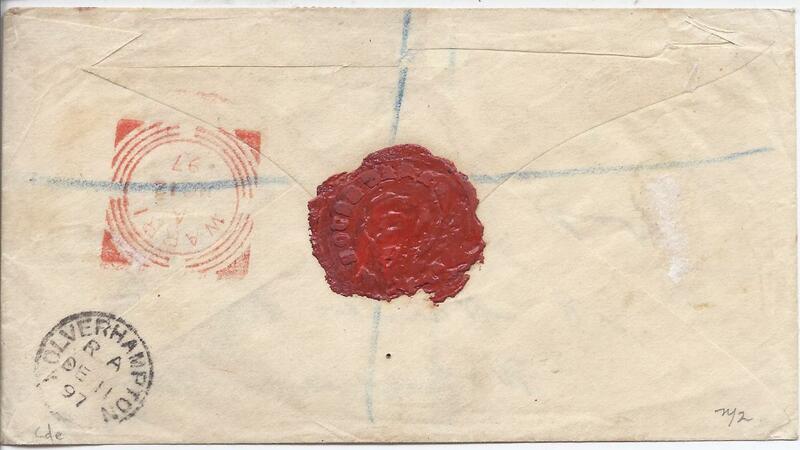 The wax seal on reverse is from Customs House Warri. 1898 1d. 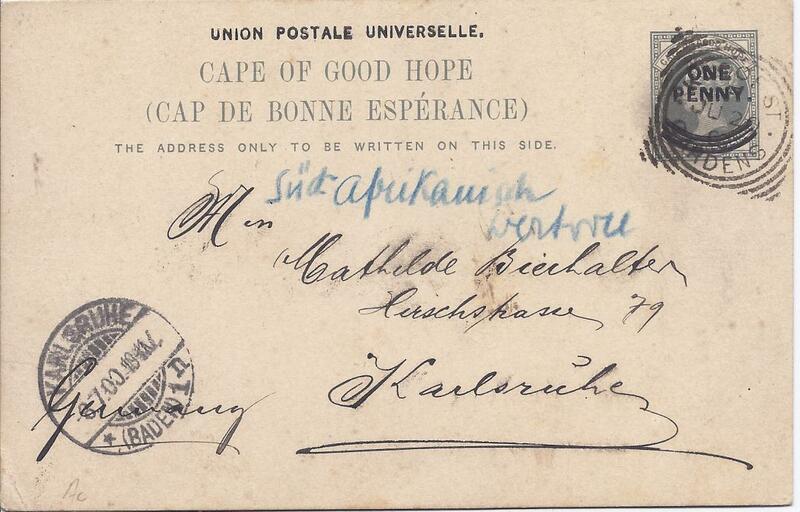 picture postal stationery card to Stockholm cancelled Cape town square circle with arrival cancels to left. Image of Table Bay before Table Mountain with Rowers. 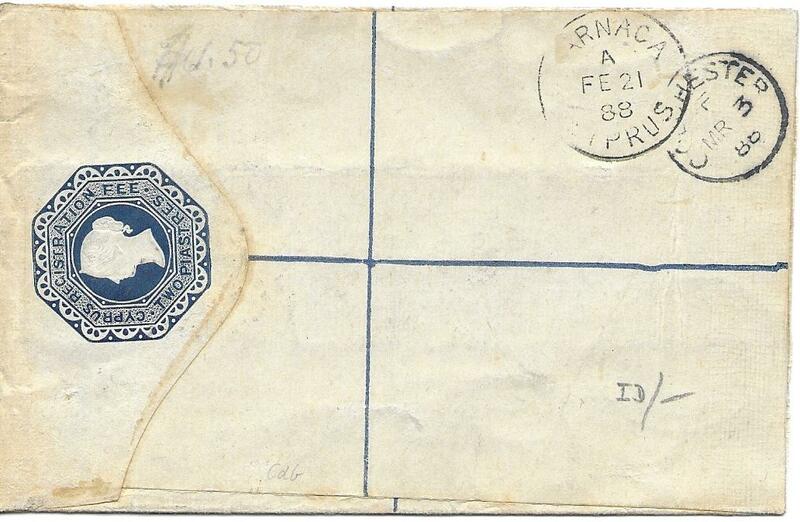 1898 cover to Marseille franked 1/2d. tied by straight-line PAQUEBOTS handstamp.further blue-green 'Paquebot.' handstamp below, reverse with Catania square-circle transit and arrival cds. 1900 1d. 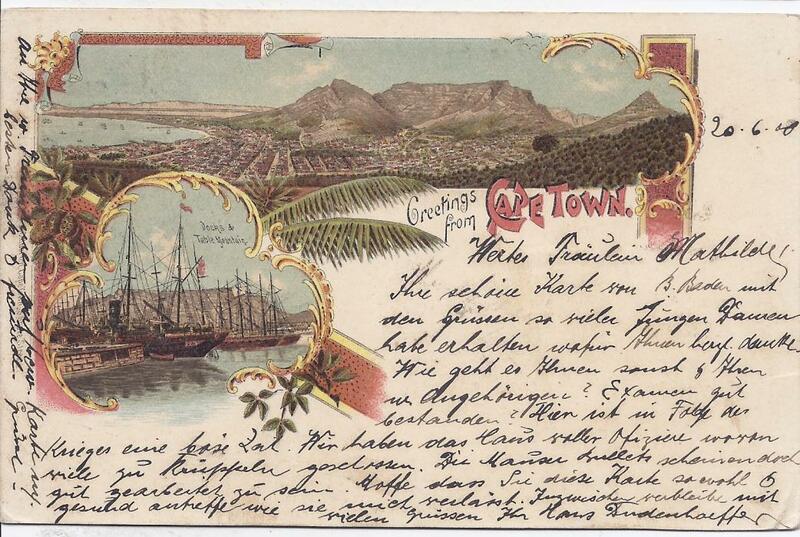 card with Cape Town views fine used with Kloof St Gardens square circle date stamp and Karlsruhe arrival cds. 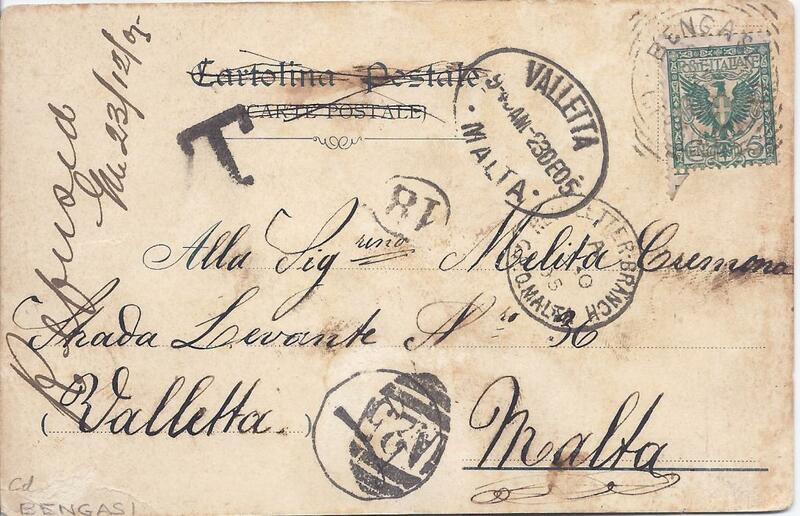 1901 cover to Catania, Sicily bearing single franking �d tied "CATANIA" squared circle date stamp, straight-line "Paquebot" handstamp; some slight creasing at base. 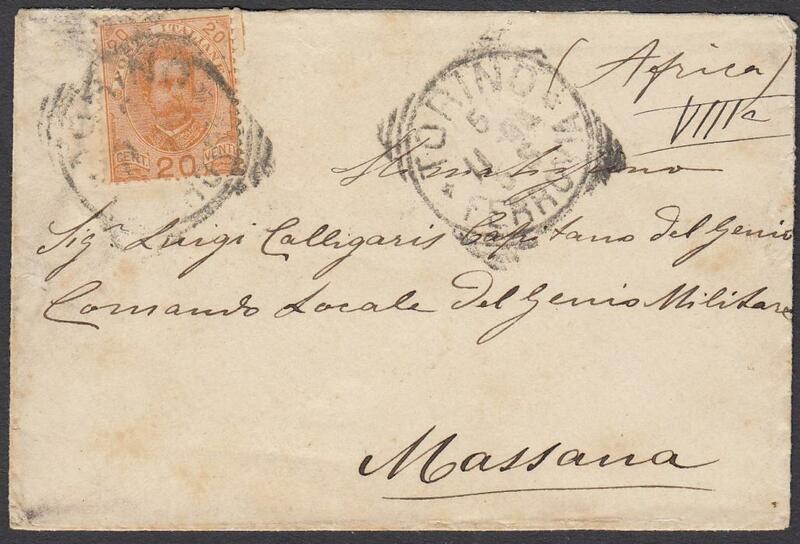 1905 incoming picture postcard from Bengasi, Libia underfranked with Italy 5c. 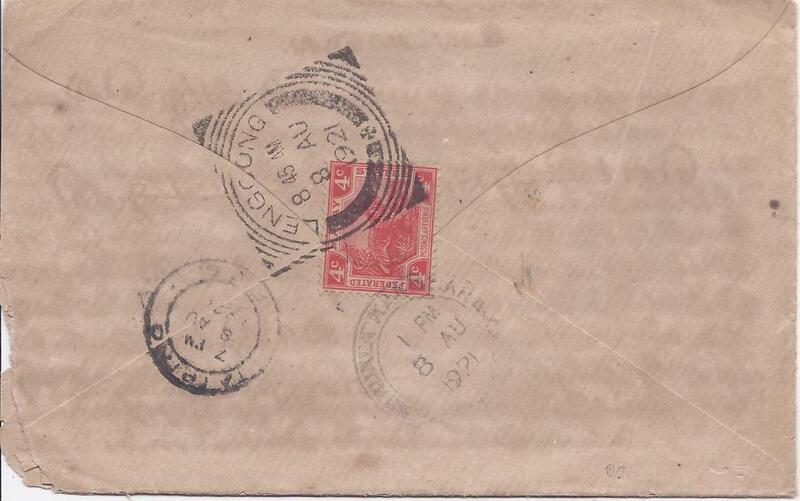 tied square-circle date stamp, black handstamped 'T' at left and circular framed '4d' charge handstamp which has been cancelled by overstriking with A25 obliterator, oval Valetta date stamp and Retn Letter Branch G.P.O. Malta cds; some slight staining of little importance. 1906 multi-franked registered cover bearing ten different values tied by square circle date stamps; paper adhesion on reverse of envelope. 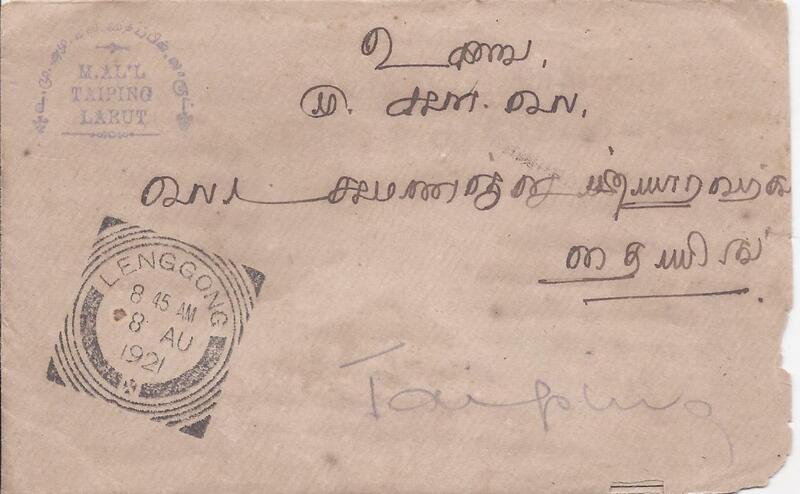 Perak: 1908 incoming cover from India with Penang, Ipoh and Taping transits plus very fine square circle Kampar transit and fair similar style Gopeng arrival; some slight faults. Perak: 1909 3c. 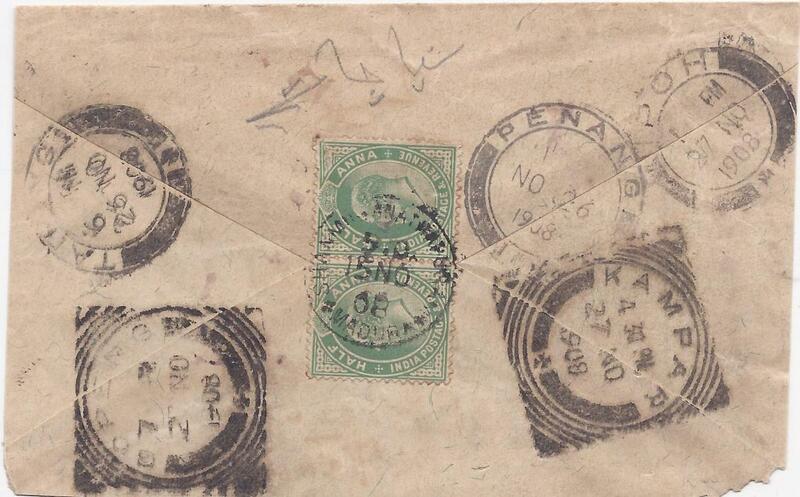 cover from Penang to Tapah with fine square circle arrival date stamp.